Leather can be produced both with and without hair depending on customers' wishes. A hide can have hair or not, whereas a fur always has hair. A fur is leather with very fine hair. 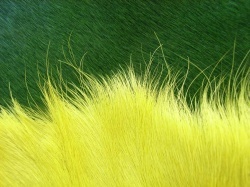 Fur is the skin of an animal which has a particularly dense and fine hair (more than 400 hairs per square centimetre). 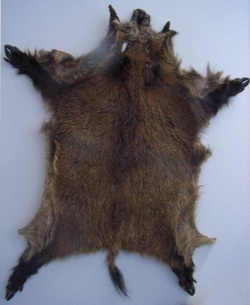 For example, mink fur, beaver fur, fox fur, sable fur and chinchilla fur etc. Other leather with hair on top is called "skin". In 2009 85% of all furs came from breeding animals, most commonly foxes, minks, marten dogs, nutrias and chinchillas. In 2013 the turnover in the global fur trade was approx. 15 billion US $. Around one million people are employed in this sector worldwide. The main production countries are Greece, Russia, China and Denmark. 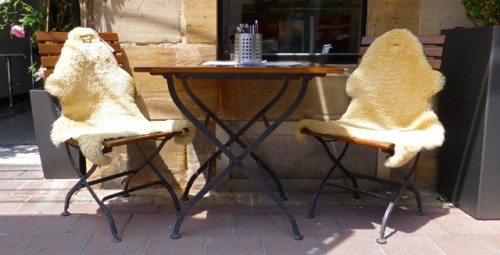 In Germany, the turnover of the fur industry in 2012 was around 1.28 billion euros and there were 23 mink farms. There are about 7,200 fur farms in the EU, mainly in Denmark, the Netherlands, Poland and Finland. 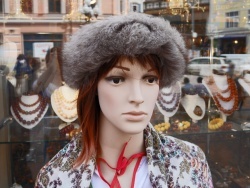 About 35 million mink furs and two million fox furs are produced annually in European farms. There are many animal species and their subspecies, from which furs or skins are made. There are unprotected animals and protected animals. The following list contains a lot of animals used to produce fur and skins with hair, but it`s not complete. Ermine with summer and winter fur. Leather is mostly produced from animals that are kept for meat production. This is not the case with fur animals. The meat of goats and rabbits is mostly used for human consumption, but the meat of most of the fur animals is not eaten. In some countries, it is even forbidden to eat some of these animals. A furrier is a craftsman who processes fur into clothing. This includes repairs and cleaning and care of furs. 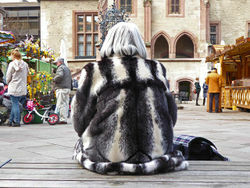 For the older generation, furs were a sign of prosperity and provided warmth in the winter. 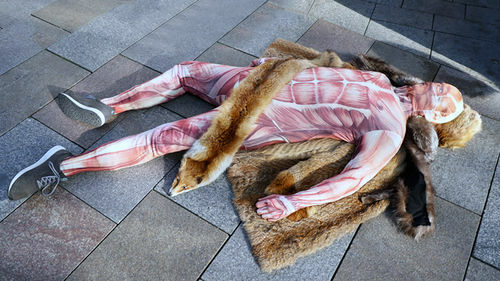 In case of soiling, skins or furs can be carefully brushed. Always ask advice from a furrier who is experienced in the cleaning of skins and furs. Specialists use moistened wood chips in a special cleaning process for furs and sensitive skins. Insensitive furs and skins can also be washed with special leather detergents. In particular, old skins and furs can be extremely sensitive to wet cleaning and can irreversibly harden and shrink. 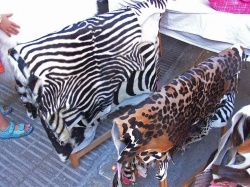 The trade of skins and furs of certain species of animals, particularly those threatened with extinction, has been restricted or prohibited on the basis of species protection worldwide. 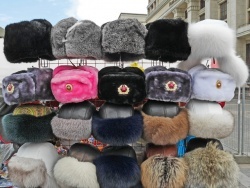 Many animal protectionists reject any trade in fur. There is no uniform regulation on the labelling of furs. Single EU countries have stricter rules. Since 2008, the Origin Assured (TM) label indicates that fur products come from a country where approved regulations and standards apply to fur production. From 01.01.2019 the city of San Francisco in the USA prohibits the sale of furs. The ban applies to clothing including gloves and accessories. This ban affects about 50 stores and approximately $ 40 million in sales. 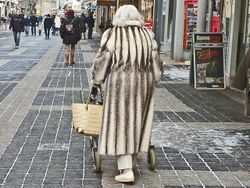 The opponents of furs often drastically draw attention to their concerns. How to make fur blankets. Skin on which the hair is still present, is referred to as fur or skin. 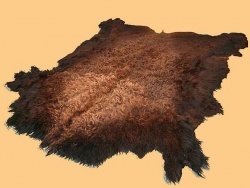 Typical terms for skins are lion's skin, sheepskin, cowhide, bearskin etc. According to a study from 2014, children who have slept on animal fur or hides during the first three months of life have a 79% reduced risk of developing asthma later. 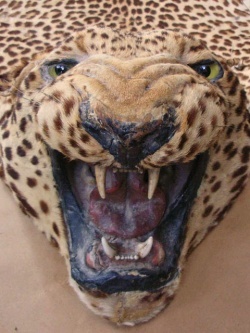 Head of leopard fur. 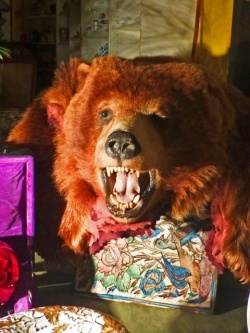 - Bear skin. 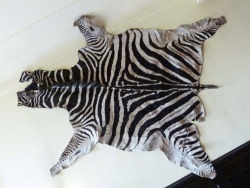 Zebra hide and bison hide. 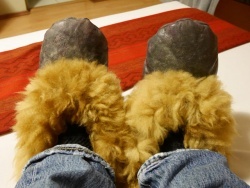 Wonderful warm Alpaca slippers from Lima in Peru. 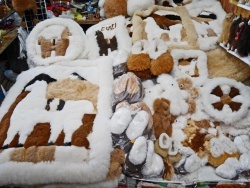 - Alpaca fur-accessories of the market in Aguas Calientes, Peru, below Machu Picchu. Goat- and wild boar skin. Exotic dyed cow and calf skins. 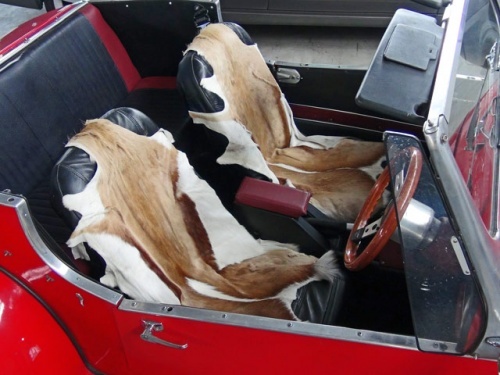 Skins as covers on car seats.